The Pink muff/glasses Passive Combo includes Walker's Game Ear's Women’s Passive Folding Muffs, protective sport glasses and foam plugs. 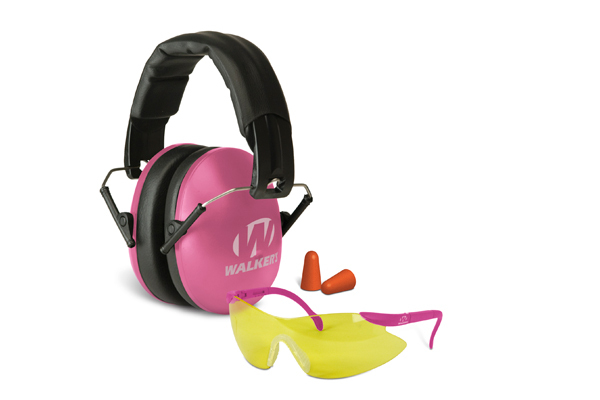 GSM/Walker’s Game Ear — a leader in hearing protection for the shooting and hunting industry — has introduced the Pink muff/glasses Passive Combo, which includes their Women’s Passive Folding Muffs, protective sport glasses and foam plugs. According to the press release, the Pink Passive combo features Passive Folding Muffs which are designed to fit youth and women by reducing the bulkiness of the average muffs with ultra slim ear cups and a smaller headband. Whether you’re in the field or at the shooting range, the ultra-light Walkers Passive Folding Muffs provide complete protection and comfort. Indeed, these muffs come with low profile, ultra slim ear cups, a padded headband and soft PVC ear pads. These muffs have a noise reducing rating (NRR) of 27dB, which helps protect hearing from sustained or loud sounds. 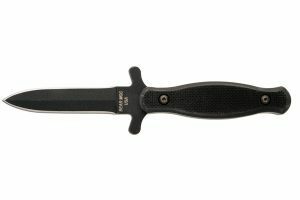 The sport glasses are made of high-grade polycarbonate lenses and come with ratcheting lens pitch adjustment. They also have an adjustable nose pad, are designed to allow air flow, and exceed ANSI 287.1-2003 High Impact Requirements. Meanwhile, the foam plugs which conform to the ear are suitable for louder environments and have a NRR of 31dB. The MSRP for the Pink muff/glasses Passive Combo is $24.95. See below for additional details.